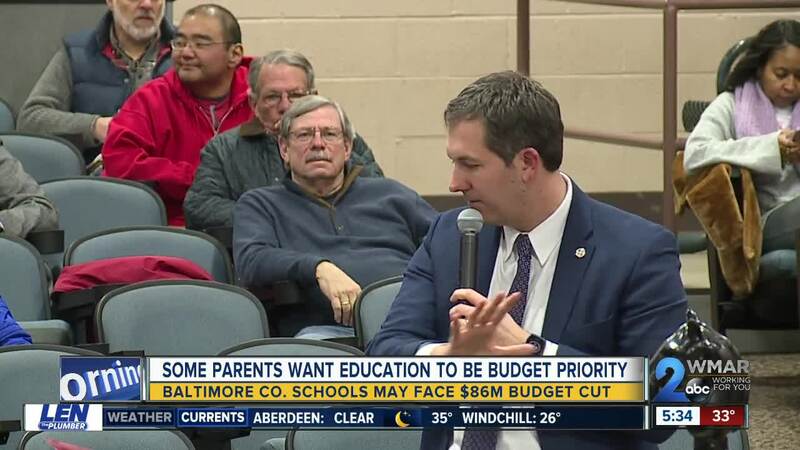 Another packed room for Baltimore County Executive Johnny Olszewski's town hall series and many spoke out about the lack of school funding. TIMONIUM, Md (WMAR) — Another packed room for Baltimore County Executive Johnny Olszewski's town hall series, but this time at the fairgrounds. It started out that same as every other meeting; Olszewski presented about the county's $80 million dollar budget deficit challenge. Then, he opened up the floor to hear from people what they think should be prioritized for next year's budget. 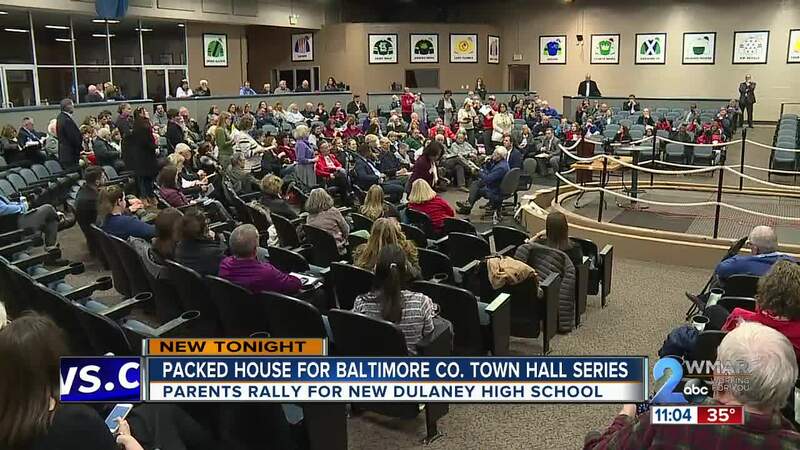 On Wednesday night the theme was transportation and traffic issues and school funding, specifically Dulaney High School. "There is no greater investment than in the education of our children," Dulaney HS parent Nancy Dimitriades said. Parents asked Olszewski for a long-term plan for a new building, one they've been fighting for five years. "Our school is unsafe. We’ve had electrical fields catch on fire. We have weekly, if not daily, leaks in different parts of the building, not to mention our brown water... and we lack air conditioning," parent Yara Cheikh said. Based on current funding, Olszewski said the new school projects, like Dulaney, would have to be pushed back. "I am so grateful to the teachers at Dulaney because they teach in conditions that I cannot imagine having to walk into every single day and they give our children everything. My fear if we keep pushing out on a new Delaney is that these teachers who are worth their weight in gold are going to leave," another parent said. Nearly half of the county's budget every year goes to the school system and Olszewski says that could change. "If we hear from enough residents that we have to make these investments then we have to make it happen," Olszewski said. He says they are looking for efficiencies and waste in the government, and are being more aggressive in applying for federal and state grants to help close the gap. "At my core, I’m a teacher. I’m not in the classroom anymore but I’ll always be a teacher and so the fact that so many residents are coming out and talking about how we need to invest in our school system, paying our teachers a fair wage, giving our kids a good learning environment, I take it very seriously," Olszewski said. There's one more town hall in District 1 that was canceled and still needs to be rescheduled. Olszewski says he will finalize next year's budget in April.